The Trust Fund was established thanks to the generosity of Brian Mason. Expatriate scientist Brian Mason was a pioneer in the science of geochemistry as well as an expert in meteorites and lunar rocks. Although he lived overseas for more than 60 years, he retained a close interest in New Zealand geology and geologists. 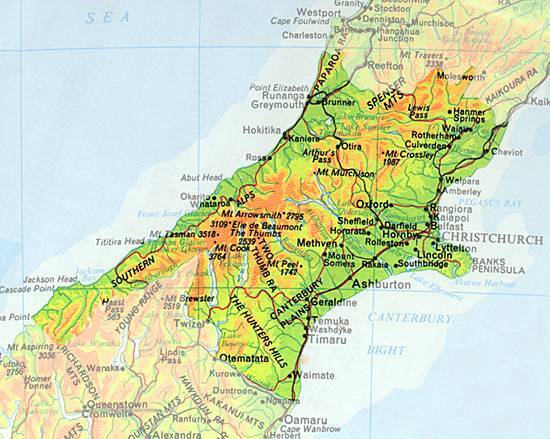 Brian spent his childhood in Christchurch, attending Christchurch Boys High School before studying geology and chemistry at Canterbury University College. He chose to take up a postgraduate award to study the new subject of geochemistry under Professor Victor Goldschmidt at the University of Oslo in Norway. His time in Scandinavia resulted in a PhD at the University of Stockholm as the German invasion of Norway in 1940 required his rapid departure from the country. Brian’s professional career started with two years as a lecturer at Canterbury University from 1944. He then moved to be professor of mineralogy at the University of Indiana and remained in the United States for the rest of his life. Although based overseas for most of his adult life, Brian maintained close ties with New Zealand, returning regularly and undertaking fieldwork in the Southern Alps and on the West Coast. In 1953 Brian was appointed Curator of Mineralogy at the American Museum of Natural History in New York. He arrived to find a collection of several thousand meteorites sitting in boxes in the corridor and meteorites became an interest that lasted the rest of his life. By his 90th birthday he had examined and described over 7000 meteorites, and it is likely that he observed more meteorites in his career than any other meteorite researcher. Brian’s final career move was to the Smithsonian Institution in 1965, where he was appointed Curator of Meteorites. He remained an active researcher there for the next 40 years, although he officially retired in 1984. He played an important role in the study of lunar geology after Apollo-11 brought back the first rocks from the Moon in 1969. 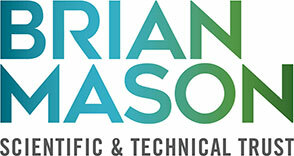 Brian Mason received many awards through his career including the Leonard Medal from the Meteoritical Society in 1972 and the Roebling Medal from the Mineralogical Society of America in 1993. He was elected a Fellow of the Royal Society of New Zealand and awarded an honorary Doctor of Science degree by the University of Canterbury in 2002. Most fittingly, he is commemorated by the naming of an asteroid, 1292Brianmason, which lies between Mars and Jupiter. Two minerals were named after him: Brianite and Stenhuggarite (from the Swedish word stenhuggar, meaning stone mason).